Easy Peasy! Each finished block will be about 11 inches. 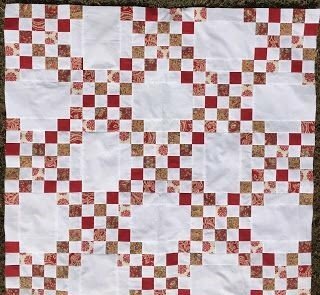 So you can make a 36 by 50 or larger, depending on how big you want your borders... a great throw size. Please purchase needed supplies and material from us.